Russian newspaper Vedomosti has revealed details of a meeting attended by Russian Economic Development Minister Alexey Ulyukayev and Finance Minister Anton Siluanov, Russia’s Central Bank Governor Elvira Nabiullina, Audit Chamber Chief Tatiana Golikova and Prime Minister of Russia Dmitry Medvedev. The meeting was initiated by Alexey Ulyukayev, a source has told the newspaper. 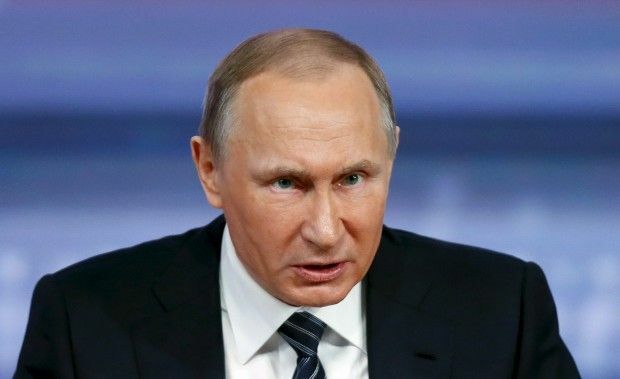 Russian President Vladimir Putin addressed the state of the country's economy during the meeting, according to a federal official. It is reported that the Economic Development Ministry has proposed that the Central Bank expand its refinancing program from RUB 100 billion to RUB 240 billion to stimulate economic growth through public investment, including project funding. The Audit Chamber chief is said to have objected to such measure. Her opinion was also shared by Putin's economic aide Andrey Belousov. Read alsoFitch lowers its forecast for Russia's GDP in 2016According to the report, last year, 42 projects with financial needs estimated at RUB 347 billion were selected under the funding program. The implementation of plans will require RUB 235 billion in loans, according to estimates. The loans disbursed by banks at an 11.5% interest rate per annum will be subject to the Russian Central Bank refinancing at a rate of 9%. As of early March 2016, the Central Bank has refinanced loans to the tune of only RUB 69 billion. The Bank of Russia claims that it is first necessary to determine the program’s threshold and then consider its expansion. In addition, the Bank says the principles of selecting projects for government funding are not clear. Read alsoRussia's Gazprom short of money, gets EUR 2 bln loan from Bank of ChinaAccording to the publication, no specific decisions were made during the meeting.